One of my pet peeves for invited food reviews is the number of bloggers PR people/restaurateurs tend to invite in one session* – there were occasions where more than 10 bloggers were invited and there wasn’t enough table space and/or food to go around. *Buffets are an exception since there’s way too much food to finish. If these people know better than to invite more than three newspaper/magazine writers per review, why can’t they do the same for bloggers? That is partly the reason why I don’t accept many invited food reviews, especially when I know it is a mass-invite. When I couldn’t make it to the review at Lai Ching Yuen twice and they kindly offered to reschedule it for the third time. Seeing how accommodating they were and the food has been consistently good, I took up the offer. That evening, I was seated in a private dining area with the PR person, another blogger and her partner — the ideal type of food review for me. 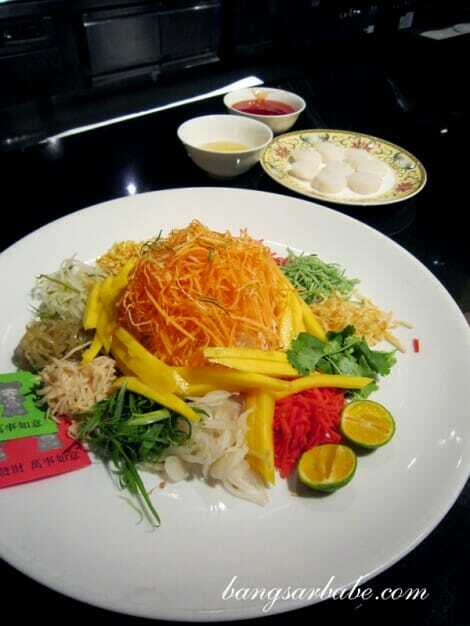 Dinner started with the Prosperity Yee Sang with Fresh Scallop and Mango (RM118++ per half portion, RM228++ per whole portion). The scallops were fresh with a firm yet buttery texture. We only added half of the plum sauce into the yee sang, allowing the sweetness of scallops to stand out. 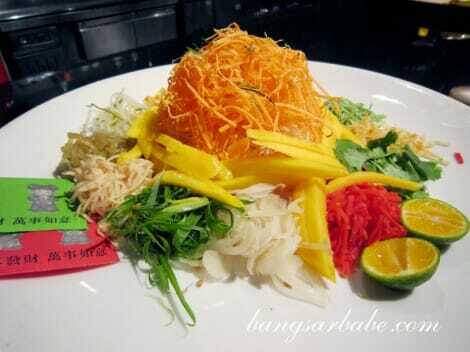 The shredded mango gave the yee sang a good aroma and fruity flavour. 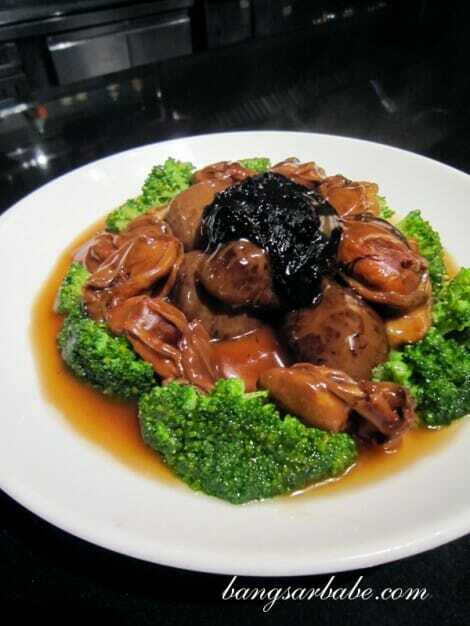 I’m generally not a fan of Hou Si Fatt Choy/Braised Dried Oyster and Beancurd Skin with Black Sea Moss, but Lai Ching Yuen’s version (RM98++ -small, RM196++ – large) had me going for a second helping. I liked how the oysters were cooked till tender and didn’t have such a strong smell. Some dried oysters tend to smell like dried cuttlefish which I can’t stand. The gravy wasn’t overly starchy and had a good balance of flavours. First attempt at roasting the pork knuckle...and the outcome was fabulous! 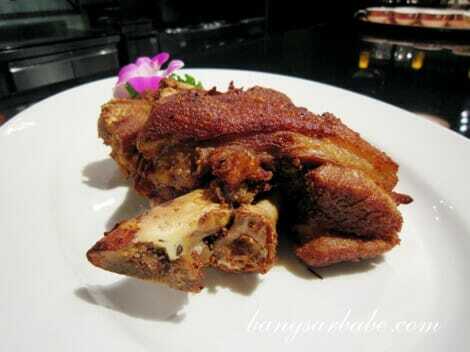 “It’s my first time making this,” said Chef Leong of his Roasted Pork Knuckle (RM80++). It was hard to believe this man, for the pork knuckle was delicious. 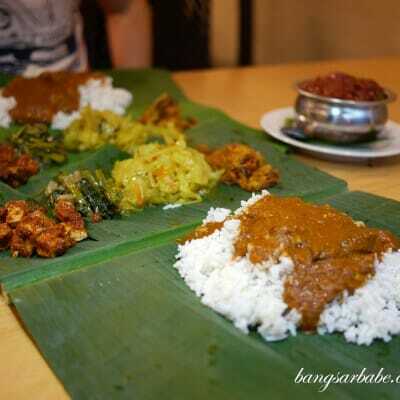 In fact, it was the meal’s crowning glory! The skin was crispy and crackly, and the pork had a lush layer of melt-in-the-mouth fat when scraped off the bone. Such decadence. We ate everything, right down to the last bit of fat. You will need to call ahead to order this – at least 24-hours before your dinner. The Steamed Cod Fish with Light Soy Sauce (RM38++ per piece) is a popular item on the menu, and I usually have this whenever I dine here. I liked that this was served in an individual portion; so much easier to eat and you don’t end up with just the fish head and eyeballs if you’re the last person to reach for the lazy susan. 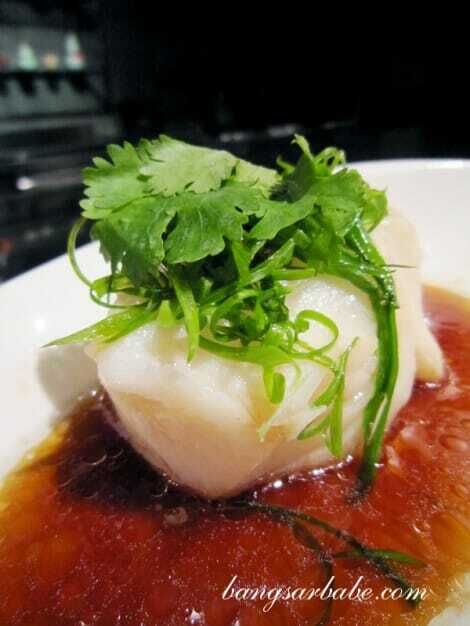 The cod – moist and flaky — was simple yet well prepared and the light soy sauce gave it just a hint of saltiness. Like the dried oysters, Claypot Rice with Waxed Meat (lap mei fan) was never my favourite thing to eat during Chinese New Year. I think that’s just because it sort of reminds me of chicken rice, albeit a very expensive version. 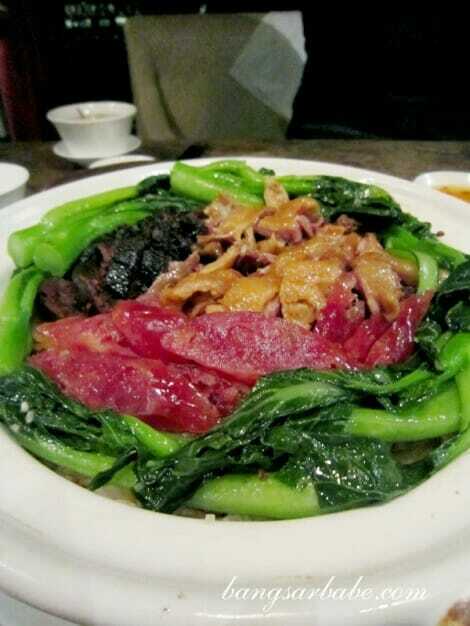 The lap mei fan (RM25 per person) at Lai Ching Yuen came with a generous amount of assorted waxed meat. We asked for the gravy to be added sparingly as the waxed meats were quite salty on their own. 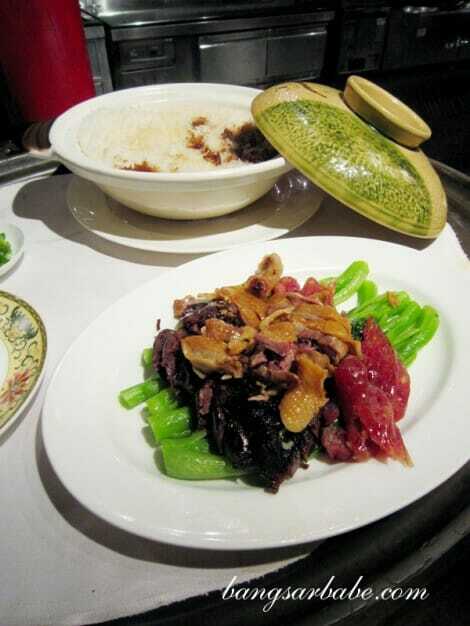 The Double Boiled Hasma with Red Dates (RM28++ per person) was a good end to the rich meal. Hasma is made from the fatty tissue found near the fallopian tubes of frogs. Sounds gross, but it tastes yummy – like a soft, cottony jelly. It gives you good skin complexion…so eat up! All in, dinner was lovely and I liked that everything was paced. I didn’t need to push my way around to get a good picture of the food so that was quite a relief. Thank you Amanda, for the kind invitation and for being such good company throughout the meal. Verdict: The highlight of my meal was the pork knuckle, but dinner in general was good. 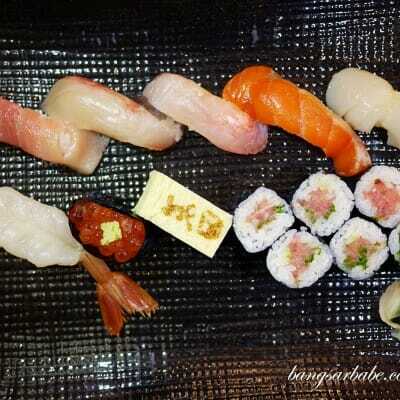 From my past dining experiences, the chef is good with seafood and pork dishes. Seems promising. 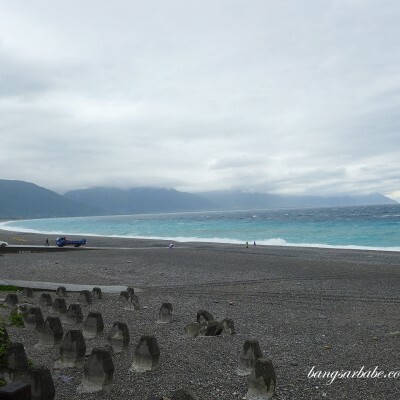 Used to go there pretty often but stopped going cos food was a little on the salty side. Perhaps, they’ve amped things up? Hehe what a coincidence we blogged abt this the same day. Looks like they varied the food they served in the reviews… btw if i’m not mistaken, the sauce for the yee sang is strawberry sauce. Hahaha! I doubt there is one. 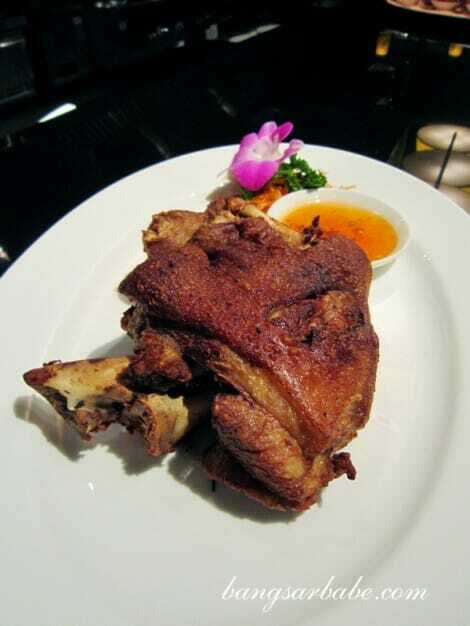 You should go try this pork knuckle. Super good! The cod fish looks yummy. 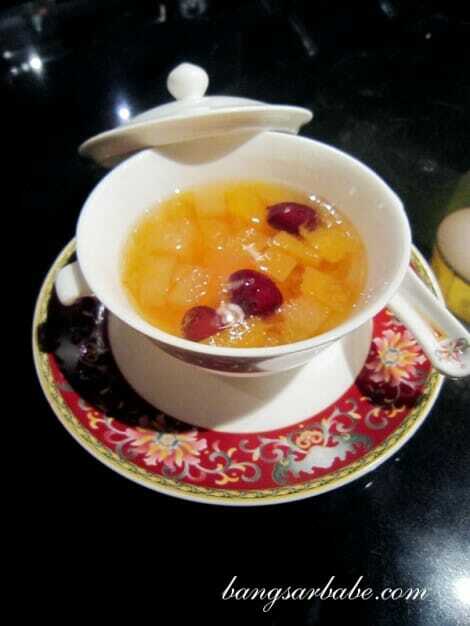 Haven’t tried Lai Ching Yuen back then, so I have nothing to compare it with now.